* Also: sediment, bad tastes and odors, TOCs, tannins, turbidity, VOCs, MTBE and more. Legacy is the most effective and economical solution you will find anywhere. * Most large cities now use Chloramine instead of chlorine to disinfect water. 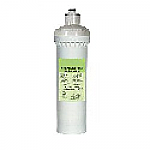 Most faucet and under the sink filters DO NOT reduce Chloramine.